Schools local to our Norwich head office recently took part in a competition to ‘Name Our Shredding Trucks’, with a prize on offer for each winning name selected to appear on a truck. Entry forms were distributed to the 8 schools taking part, which included a factsheet on the environmental benefits of a Mobile Shredding service and an opportunity to design and colour a picture of a truck. 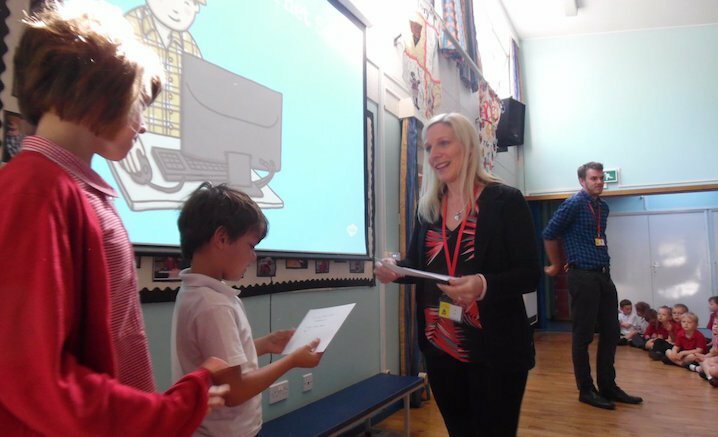 Shred Station were kindly invited by Brundall School to join their end of term assembly and present prizes to two children who had winning names. The winning names from Brundall School were Shreddosaurus and Shreddy McShredFace. Keep your eyes peeled for the Shred Station shredding trucks in the next few weeks to see if you can spot some of the other names.